I'd like to just say that this thread has nothing to do with yowie research. I came to this site because it was a straight forward, discussion based site that offered mostly common sense and down to earth information on a topic I find very interesting. Yowies. This thread should be deleted, or at the very least moved. There are many, many other sites for conspiracy theorists to indulge themselves. Please leave AYR for us, the genuinely interested in directly related yowie/bigfoot topics. Lol, this thread drifted from autistic Bigfoot theories, to human autism caused by vaccinations in children, to vaccinations intertwined with world depopulation, to Agenda 21. It's a natural progression if you think about it, from speculative theories that only affect unprovable bigfoot, to conspiracy theories that might affect all humans. 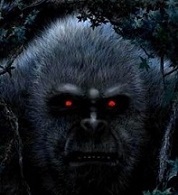 This is a Bigfoot forum, what do you expect? How about a bit more respect for Dean and his site? How about trying to keep conversation topics in the board index that have been created for them? This thread could have been started in the "Yowie Controversial, Conjecture and Fringe Subject Matter Discussion" don't you think?? It's probably just me, but it almost seems as though this topic of autism was raised as a way to voice an opinion on other topics/matters/conspiracies. It's been a bloody good giggle though and I enjoy a laugh, I'll admit that! 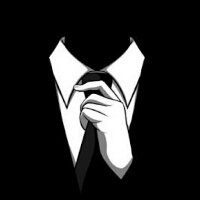 Keeping threads in the right topic index is a moderator job. A moderators job? Yes, but only in regards to keeping the site neat and tidy. The responsibility of a long term contributor with respect, knowledge of how the site operates and common sense ? Yes! For the privilege of being able to use the site and to show thanks that it is even in existence, the very least we can do is to use it as it has been created. Is that too much to ask? If the correct placement of topics is chosen, then it's happy days for all! Look, mate....you and I are just adding to the life of this thread (I know it's not your thread). Once someone produces a yowie body for scientific study, then we can discuss autistic traits etc. This site contains a wealth of information and threads of this kind, or more accurately, the content of this thread does not add to the feeling of genuine interest and investigation into the yowie phenomenon to visitors. If anything, it may convince a casual visitor that the whole subject of yowies is nonsense. Depopulation and all the other folly should be posted somewhere else, in my opinion. It is just you mate. I raised this topic after listening to Chris' theories on Autism in Sasquatch and wanted to add my ten cents worth to this interesting theory. Someone else derailed it from the subject (as usual). I was only half serious yesterday. It was a Sunday arvo, I'd been keeping myself reasonably hydrated and was just stirring the pot a bit. Apologies to anyone if offended. I enjoy a laugh but hey....surely none of us take ourselves too seriously, right? Well, I just browsed the world population clock and was surprised to see that the world's population does seem to be increasing at 250 thousand per day, factoring in the world's death rate. Despite the worry of an overpopulated world as written about and endlessly talked about by the elite for well over a century, technology defeats thier goals. Before the 'green revolution' (NOT the environmental movement... the growth of cheap fossil fuel agriculture) regular famines went some way towards keeping the population slowed. Said famines have largely ceased because of said 'revolution' bale to produce masses of food with the aid of pesticides, herbicides and 'cheap' energy from fossil fuels. ... but at what cost to the environment, something we are now paying for heavily with massive salination of what was once good farming land. The world's current population this second, is sitting at a comfy 7 billion, 605 million, 894 thousand, six hundred and ninety. Sorry, but that comment is pure ignorance of the reality on the ground and leads me to believe you must be a city dweller. Talk to any farmer, or indeed anybody who has ventured outside the capital cities beyond the narrow strip of green bordering the coast. Australia's very limited water capacity alone is under severe stress with the population we have at the moment. Factor in the millions of acres of precious topsoil being steadily degraded by obscene, profit-driven farming practices, the rising salt levels mentioned above, and this country is at great risk of an environmental catastrophe. All it would require is a drought as bad as some the recent geological history has shown to be commonplace on this very dry continent. The last hundred years (or so) has been historically very wet. On top of that our precious artesian water supply is being steadily poisoned by the (once again profit driven) fracking industry. Mate, this is a Bigfoot forum... we are by (social) definition ALL nuts on this site. Sadly one of the most active (and full-on) contributors was deleted from the site so many of the posts don't make sense, without the information they are written in reply to. Last edited by Wolf on Mon Mar 05, 2018 10:45 pm, edited 1 time in total. 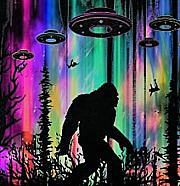 To say a forum where it's members actively discuss, search for, and hypothesise the mythical Bigfoot and Yowie are all Einsteins compared to another forum, is a very big call. But I'm calling it. So, IMO, Sasquatch could easily ‘appear’ autistic simply because they, like autistic spectrum people share a similar brain, ie: one lacking in frontal lobe development… but making up for it with increased activity in other, more developed areas of the brain. I have enjoyed the debate but I need some help understanding the above text. How does anyone know about Sasquatchs' brain or frontal lobe ? To me their are pretty much a mystery, perhaps some Govts know but they dont share. What a clan of Bigfoot researchers? conspiracy theorists? etc, welcome to the internet. Getting back on topic the autistic "THEORY" is a grab at sounding smarter then you actually are. We can all sit behind a desk and hypothesise about a 7-8 ft tall hairy being thats never been proven to exist. Oh it must be autistic they say. Lets all do a psychological report on a being thats been able to outsmart the human population for millennia, no no dont worry its just autistic. For crying out loud one of the most ridiculous theory's I have heard. ...Lets all do a psychological report on a being thats been able to outsmart the human population for millennia, no no dont worry its just autistic.